Flotechs Plumbing & Heating services, repairs and installs commercial and residential plumbing and heating systems throughout Westchester County, New York. Flotechs came to us with no process for attracting new accounts or increasing loyalty from existing customers. Branding was nothing more than a stock image logo for them. They challenged us to help them win accounts from the bigger and more well-known shops. So, we rolled up our sleeves to give them both a professional image and a competitive edge. We started with a challenger strategy. Then, we needed to make Flotechs shine, so we designed a unique logo that stood out from the traditional and overused water or water drop imaging. We introduced sophisticated software to improve customer relationship management and marketing. 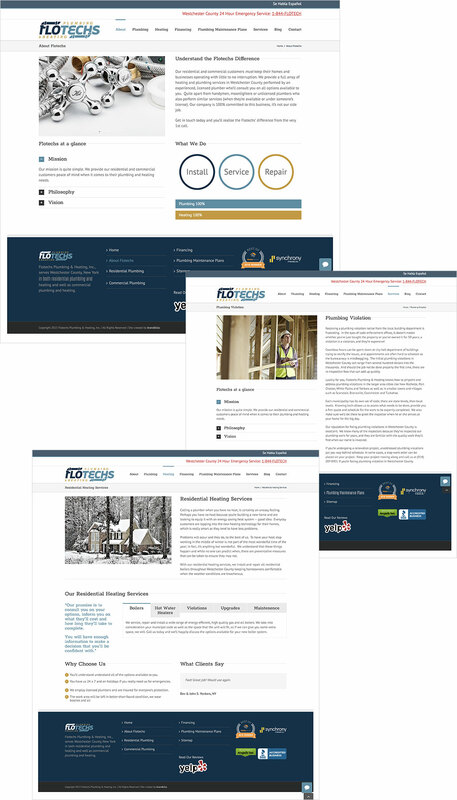 This allowed us to eventually launch a variety of marketing campaigns to keep Flotechs top-of-mind, increase leads, and grow their email list. We really believed we could run our business and do all the marketing that’s necessary to have a successful business – it’s impossible. These guys handle our marketing, so we can operate our business. A sustainable and strategic marketing plan that leaves all lead generation campaigns, content strategy and marketing communications to brandbliss and plumbing and heating to Flotechs. 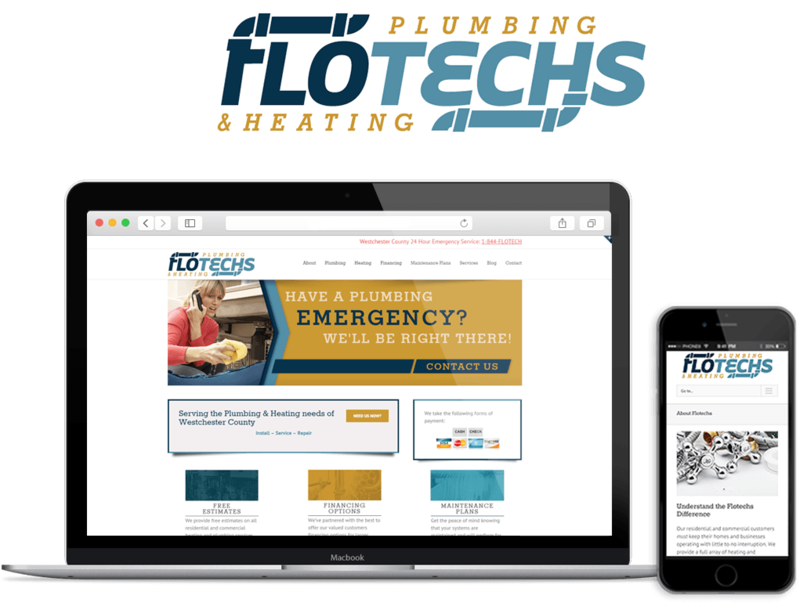 An innovative and complete brand development package, including physical assets and social media, that reinforces Flotechs promise to their customers and furthers their vision to be the most trusted and referred plumbing and heating company in the tri-state area. The increased visibility and exposure allowed Flotechs to expand their fleet and hire more employees to keep up with rapidly growing residential and commercial accounts.